Reasons to read any mystery by Mette Ivie Harrison: (1) They’re set within the struggles of active Mormons in Utah (members of the Church of Latter-Day Saints, an all-American historic treasure). (2) They face the grim reality of what death and other crimes do within a close community. 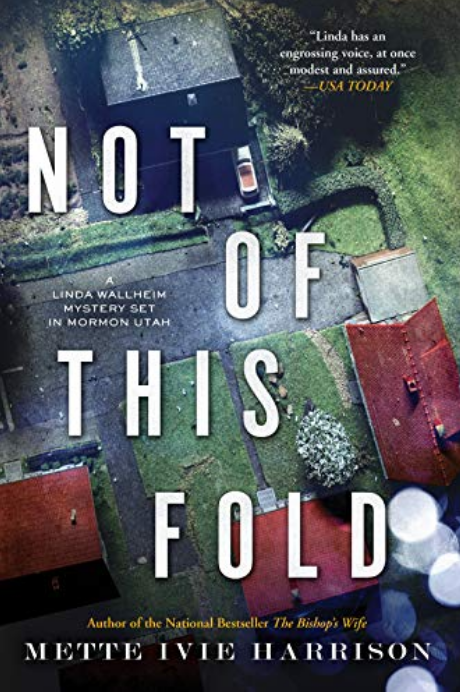 (3) The protagonist, amateur sleuth and Mormon bishop’s wife Linda Wallheim, reveals her very vivid agony over the principles of her church, her faith, and her marriage, while drawn to rescuing victims of crime around her. Linda can’t deny the situation. And with Gwen, she’s quick to blame Greg Hope, who’s both a Mormon bishop (local congregation leader) and an employer of especially the Latinos in the region with uncertain immigration status. Of course, he’s assisting them in getting proper papers. Or is he? When the Mexican mom of three small children is murdered, Linda and Gwen realize that their probing of the situation may have enflamed it further. 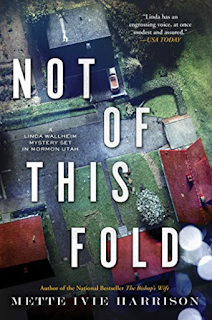 Violating partnerships with their husbands, they struggle to investigate the roots of the crime, and of a local crime wave of breaking and entering that seems oddy parallel to Greg Hope’s security business among prosperous Mormons in the area. As always, Harrison’s plotting is tight, her pacing compelling, and her attack on the morality of the Mormon Church sharp-clawed yet heartbreaking. As Linda continues to test the resilience of her marriage, her own faith, and her sense of responsibility to women in the area, questions and insights tumble and align. For readers of the Linda Wallheim Mystery Series, this is a must-read book. It wasn’t at all what I’d expected, and it made me wonder what was going on in his head. I wished I could be more sympathetic to him, but he was using his position bullying me, and I wasn’t about to put up with that. Linda’s attitude toward Kurt eventually robs her of the chance to feel she’s solved the case and rescued someone, which also deprives the book of the satisfaction that a well-solved mystery usually conveys. Add this book to any shelf of Mormon mysteries, Utah settings, or women sleuths—but for maximum pleasure, read Harrison’s early titles first, to catch on to what she’s working to convey.